How to live in a hostel for a few weeks. When fleeting from one hostel to the other as often as every second day, it is hard to imagine what it would be like to stay in the same hostel and the same dorm for an extended period of time. Every hostel has its batch of long-termers, should they be working there in exchange of accommodation or working nearby to save up for their next trip. It is not unusual to find a small group of backpackers that grew roots in a hostel for several weeks or month. For backpackers that only pass through for a few days, long-termers in a hostel are both a wonder and a great source of local tips. So you too have decided to stop travelling around for a while and save up? Being a long-termer in a hostel has a lot of advantages and constraints but is a serious option to consider when backpacking in New Zealand. In that spirit, we will go over the pros and the cons of staying long-term in a hostel. By the way, have you check out 10 Tips to be a Great Long-Term Roommate in a Hostel Dorm? What discount will I get to book weekly? Or even monthly? Are there jobs nearby? In fact, secure a job before you move into a hostel long term! It is likely that you will hang out with a lot of people when staying long-term in a hostel, from a bunch of travellers passing by to a few other long-termers that you will live with for a few weeks or months. Staying in a hostel for a while is an awesome way to make meaningful relationships with people from all around the world. When being a long-termer in a hostel you are removed from the “need” to socialise every night and take part of every activity. You are here for a while, if you miss that pizza night, pub crawl or pot luck dinner, you’ll jump on the next one next week. If you feel like making new friends, hop downstairs and join the crowd. If not, simply relax in your dorm. Meeting new people every day is an awesome feeling. You will never feel “alone” when staying in an hostel. Should you just want to chat, play a game, or find hiking buddies, you have a bunch of new friends ready for you. People from across the globe are gathered together in the lounge, dinner room or bar and you can simply walk in and get to know them better without the stress that you might feel when going out alone. Hostels are the very best place to meet new people. 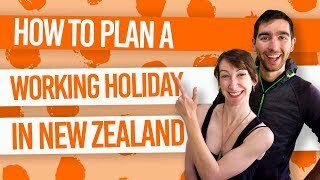 Check out more ways to meet people in 9 Ways to Meet People When Travelling Alone in New Zealand. 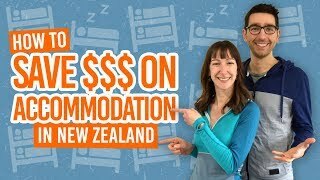 In most major cities in New Zealand, hostels’ weekly deals are often cheaper than actual rent. So you can trade a bit of privacy for a huge saving every week. Plus, if you get a job as a cleaner or receptionist for a few hours a week in your hostel, you may even be able to live in for free. All those savings can be spent on your next adventure! With travellers from all walks of life all around you, staying long-term in a hostel is likely to greatly expand your horizons. Plus, since this is such a different environment that life at home, it will force you to create new habits and cohabit with people and their different quirks making you a much more adaptable person. As opposed to having your own room or even your own apartment, you are likely to be living in a dorm when staying long-term in a hostel. This comes with a bit of a lack of privacy when it comes to sleeping and using the communal areas. Although meeting new people is a pretty awesome thing. Having the same conversation: “Where are you from? How long are you being here for? Where are you heading to next?” can be a bit repetative. Meeting new people can be exhausting and you may feel like staying in your dorm watching a movie from time to time. To the outside world, it seems crazy to consider a month commitment somewhere as “a big deal”. However, when backpacking and literally changing location every day, it may be quite daunting to commit in staying in a place for more than a few days. It usually comes when finances are low and it is time to buckle up and work for a while. From living at home with fresh towels to the large bathroom and having clean dishes to living in a hostel full of twenty-something backpackers is a pretty massive change of pace. Be prepared to make some compromises on your usual comfort when staying long-term in an hostel. If you were to have your own flat with a lease under your name, you would be able to pick who you would like as roommates, interview each of them, and choose the ones that you think you’ll get along the best with. However, in a hostel, you’ll be given flatmates without being able to choose them.